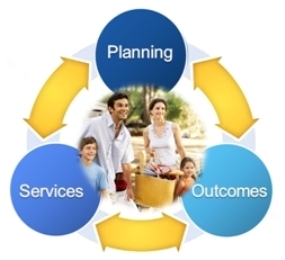 DSC Case Management and Individual/Family Support (CM/IFS) provides a full range of services to children and adults with developmental disabilities including advocacy, referral linkage, crisis intervention and intermittent direct service, when appropriate. Each individual is assigned a case coordinator who monitors treatment, planning and implementation. As the single point-of-contact for each individual, the CM/IFS staff is responsible for coordinating the interplay of agency and community service providers. For more information about Case Management & Family Support Services, please contact us at (217) 356-9176.